If you've followed the Weston Price Foundation dietary principles for long, surely you've come across the recommendations for adding more fermented foods into your diet to maximize the vitamins and enzymes they contain, to provide beneficial bacteria/probiotics, and to make the nutrition more bioavailable in all the foods we're eating. 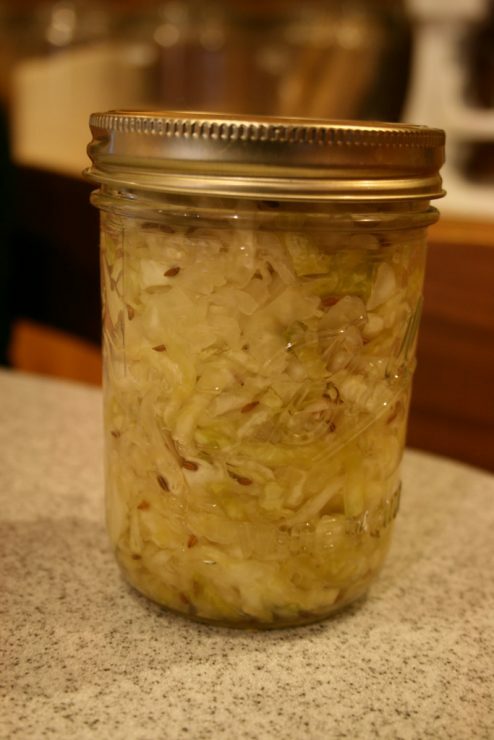 When it comes to lacto-fermented foods, there is nothing more popular than the ancient beloved sauerkraut! Read more about the health benefits of lacto-fermented foods here. 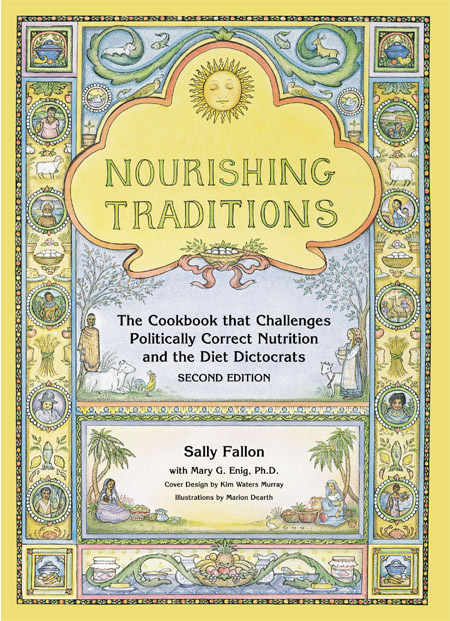 Find this recipe and many more in the Nourishing Traditions cookbook! In a bowl, mix cabbage with caraway seeds, sea salt and whey. Pound with a wooden pounder or a meat hammer for about 10 minutes to release juices. Place in a quart-sized, wide-mouth mason jar and press down firmly with a pounder or meat hammer until juices come to the top of the cabbage. The top of the cabbage should be at least 1 inch below the top of the jar. Cover tightly and keep at room temperature for about 3 days before transferring to cold storage. The sauerkraut may be eaten immediately, but it improves with age. If you have variations that you prefer, please share in the comments! How to make homemade mayo that is FAST and tastes great! We love love LOVE our homemade sauerkraut! Can I use red cabbage?